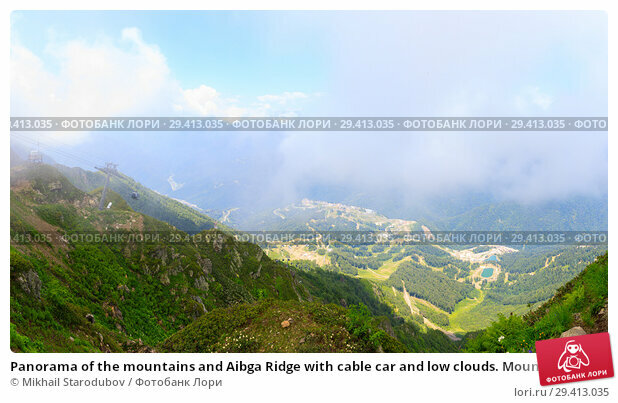 panorama of the mountains and Aibga Ridge with cable car and low clouds. Mountains near the ski resort of Rosa Khutor in Krasnaya Polyana. Sochi, Russia.